A dreamy portrait created by Cristina Venedict, using the new Lensbaby Velvet 85. 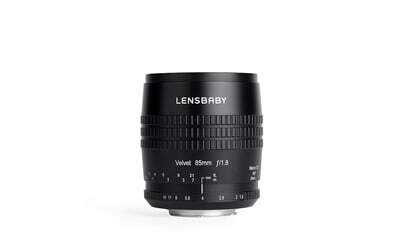 Introducing the brand new Lensbaby Velvet 85. Is it the lens of your dreams? It is certainly the stuff dreams are made of. The 85 mm focal length puts it squarely in the portrait lens range, making it a welcome addition to the Lensbaby family of velvety, soft focusing lenses. Preceded by the Velvet 56, these lenses are something very special and different, even from a company like Lensbaby, who have made different their specialty. 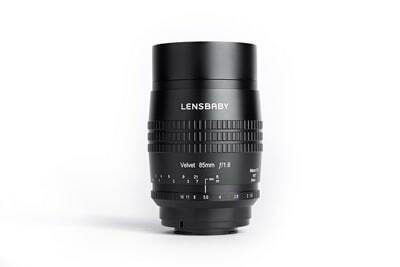 Lensbaby are known for their affordable, plastic, tilting lens bodies that take interchangeable glass optics for different focal lengths and effects. While some photographers have wholeheartedly embraced the playful creativity these lenses can inspire, others dismiss them as cheap plastic toys. Whatever your views on the original Lensbaby lineup, the Velvet lenses are about as similar to the original optic swap system as a Hasselblad is to a Holga. The Velvet 85 is a solid, heavy chunk of glass, encased in a smooth metal body. It is not cheap and it doesn’t look or feel cheap. When shooting with a wide open aperture, the Velvet lenses produce a soft and dreamy focus with buttery bokeh and a unique glow. As you stop down, the dreamy effect is decreased and the lens behaves more like any other sharp, manual focus prime lens. For me, personally, the sweet spot is usually somewhere around f2.8, where the focal point is tack sharp but the rest of the image falls off into a hazy blur (not unlike my early twenties). Speaking of my misspent youth, the quality is both ethereal and nostalgic, making it an excellent choice for both portraits and the kind of historic, rural decay I enjoy photographing. The Velvet 85, used with a wide open, f1.8 aperture on the left and stopped down to f2.8 on the right. Rusty chain photographed by Tracy Munson. A prettier example, showing the difference between f1.8 (left) and f2.8, when using the Lensbaby Velvet 85. The amount of dreamy glow is totally up to you. Lupines on Grand Manan Island, NB, photographed by Tracy Munson. Introducing the brand new Lensbaby Velvet 85. There ought to be something there that floats your boat! The lens has an all metal body, and as such, it weighs a hefty 530g (a little over a pound). You will know it’s in your camera bag. The Lensbaby Velvet 85, fully extended to 1:2 macro range. The DSLR version is 8.9cm (3.5 inches) in length when focused to infinity and extends out to 13.2cm (5.2 inches) at macro range. The mirrorless version is a little longer, plus the lens hood. (The DSLR version does not require a lens hood, as the lens is set back from the front of the body and is shaded already). It takes a 67mm filter. Apertures range from a dreamy f1.8 when wide open, to a tack sharp f16. The 12 bladed aperture creates an appealing, soft, round bokeh effect. Apertures are controlled manually, with the aperture ring. This manual focus lens can focus from a minimum 24cm (9.5 inches) to infinity. At the shorter end of the focal range, it operates as a 1:2 macro lens, meaning that objects will be represented on the sensor at half of their actual size. (“True” macro is considered to be a 1:1 magnification or greater). The Lensbaby Velvet 85 will retail at around $499 USD. 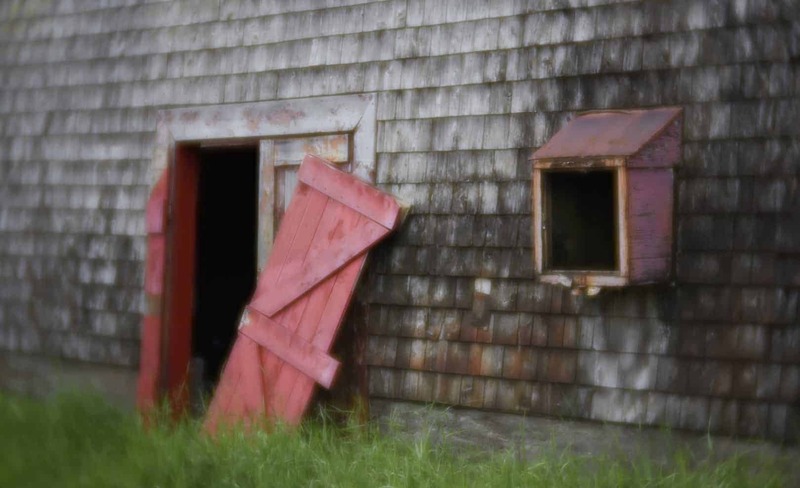 A red door hangs off its hinges at an abandoned salting shed on Grand Manan Island in New Brunswick. Photo created by Tracy Munson, using the Lensbaby Velvet 85 at a dreamy f1.8. When focusing manually on something close, like this poppy, a useful technique is to set the focus as close as you want and then just move the camera back and forth until the right slice is in focus. Photographed by Tracy Munson, using the Lensbaby Velvet 85. Like all of the Lensbaby lineup, the Velvet 85 is a manual focus lens. This can be intimidating for some and is not ideal for all situations (especially fast moving subjects). The advantage to manual focus is that it can slow you down a bit and force you to really think about your composition, settings and exact focal point before you press the shutter. A manual lens tends to lead to more thoughtful photos and less of a “spray and pray” technique, so if you are in that habit, it could be just the thing you need to get you past that hump. The focus ring on the Velvet 85 is smooth and firm, with enough stiffness and throw to allow you to be very precise. (A loose focus ring may be easily moved accidentally. One with too little “throw” doesn't have enough turning distance to allow exact focusing at a good range of distances between the closest focal distance and infinity). 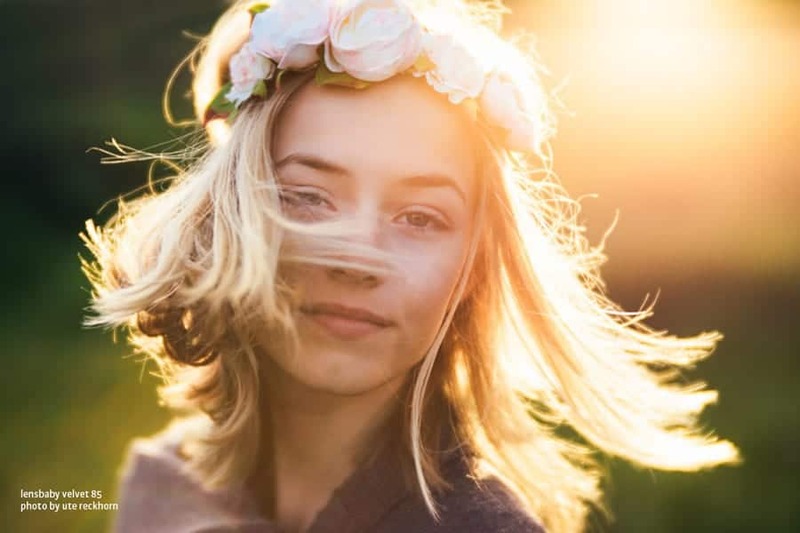 Focusing through the dreamy glow of the wide open, f1.8 aperture can be challenging, and at 85 mm your depth of field (DOF) will be razor thin. If you are working on a tripod, or have a stable surface to set the camera on, it may be easier to focus with the aperture stopped down a little and then open it back up to take your shot. For extremely fine focusing, use the live view and zoom right in on the important part, to ensure that you’ve nailed it. Even scarier than the manual focus, is the manual aperture ring. Let me start by saying that, to users of some of the original Lensbaby lineup, an aperture ring is a downright luxury! Some of their older lenses had little, magnetic apertures that you just dropped into the lens body, in front of the lens. You had to carry the set of apertures around with you, as well as the magnetic wand to remove them. It was not the most convenient setup. The newer Composer Pro line and Optic Swap system is much more robust and the lenses now have aperture dials. 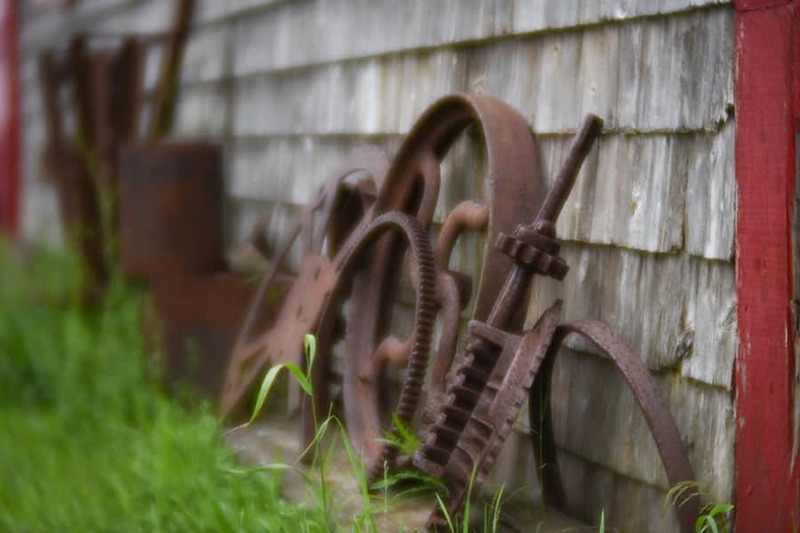 The dreamy, nostalgic effect that can be achieved using the Lensbaby Velvet 85 is perfect for photographing rural decay. Photographed by Tracy Munson. The aperture ring is used to manually select the aperture. The ring itself moves easily, with clicks at the full-stop apertures. If I have a complaint about this lens, it is that sometimes, the aperture ring moves too easily and can be jostled and changed without your noticing. (Note: I am told that my unit was a beta tester and this issue has been resolved in the final product that will ship). A manually selected aperture will not show up in your metadata since there is no communication with the camera. As such, I am guessing at which aperture I have used in the photos in this article. The amount of dreamy blur and the fact that I know I took most of the photos between f1.8 and f2.8 makes it pretty easy to tell. A scene from the past. 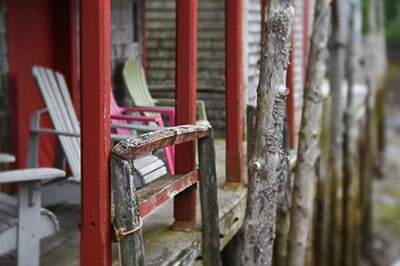 Old salting sheds sit high on pilings above the Bay of Fundy tides on Grand Manan Island. Photographed with the Lensbaby Velvet 85 by Tracy Munson. Selecting the aperture using a ring on the lens, rather than a dial on your camera really isn’t that much of a challenge. The main disadvantage to a manual aperture lens is that your view through the viewfinder darkens as you stop down. When you use a lens where the aperture is controlled by the camera, it is actually leaving the aperture wide open while you focus. It only snaps closed to your chosen f-stop when you depress the shutter. This allows the maximum amount of light in while you are focusing. Not so, with a manual aperture, so as you stop down, you will have less and less light to work with. One solution to this problem is to use your camera’s live view mode. Most modern DSLR’s will show the image from the sensor on the live view, rather than the image seen through the viewfinder. This can make it infinitely easier to focus when you’re stopped down for things like landscape or macro work. Unfortunately, some older or entry-level cameras may not have this feature (my first camera, the Nikon D3200 did not). If you are not yet 100% comfortable with shooting in fully manual mode, most cameras will still allow you to use the aperture priority mode with this type of lens. In aperture priority (AP on Nikon cameras, AV on Canon), you select the aperture (manually, in this case), and the ISO, and the camera selects the shutter speed to give you the correct exposure. I have found with my Nikon cameras, with any manual lens I’ve used, that when using this technique, I have to dial in +0.7 to +1.0 in exposure compensation or the photos are too dark. I am unsure whether this is unique to Nikon or related to the vignetting present in many of these lenses, but it is the case, whatever the cause. Once again, in the case of metering with manual lenses, some older, and entry level bodies, like the Nikon D3200 will not work. Purple Allium flowers, at a dreamy f1.8 on the left and up close with the 1:2 macro capability on the right. Photographed by Tracy Munson, using the Lensbaby 85. I wasn’t sure how useful this lens would be for me. Being mostly a nature and landscape photographer, I thought the 56 mm was a little closer to my wheelhouse. Ninety percent of my portrait work is with pets, and although I may throw on a Lensbaby for a few more creative shots once I’ve got everything covered, I will admit that a manual focus lens is not my first choice when working with animals. The most obvious application for an 85mm lens like the Lensbaby Velvet 85 is portraiture. As you can see in this example created by Ute Reckhorn, this lens has got you covered. In reality, the lens is more versatile than I had given it credit for. I wouldn’t normally choose an 85 mm focal length as a walk around lens, but it is actually a very useful length for capturing detail shots. 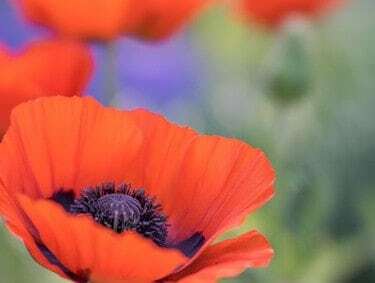 The 1:2 macro capability makes it a great choice for photographing flowers and the longer focal length allows some distance between you and your subject. Useful, indeed, when trying not to trample the flower beds! At its wide open dreamiest, the Lensbaby Velvet 85 can produce photographs that more closely resemble impressionist paintings. Flowers, photographed with the Lensbaby Velvet 85 look like an impressionist painting. Photo by Tracy Munson. There is no question that the Lensbaby Velvet 85 has earned a place in my camera bag. Whenever I'm in a creative slump, a photo walk with Lensbaby will go a long way towards kickstarting my imagination. If I have piqued your interest in the Lensbaby Velvet 85 or any of the Lensbaby lineup, I'll be the first to admit that there is a learning curve involved. The Lensbaby Composer with the original double glass optic was one of the first lenses I purchased for my first DSLR and it was frustrating at times. On the other hand, it forced me to learn manual exposure in a hurry, so don't be put off if you're new to photography. If you, (like me) learn best from jumping right in the deep end, then using a manual lens like the Velvet 85 will propel your skills forward. Fortunately, now you can check out Lensbaby University for free tutorials on getting the most out of your lens. There are some very helpful resources there that weren't available way back when I was starting out! Check out the trailer here.